My skin definitely has the winter time blahs: pale, pigmented, dull. 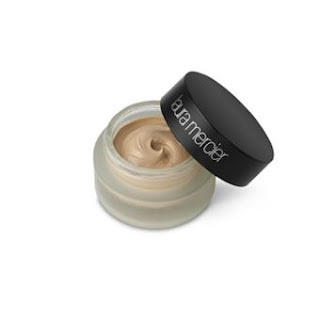 The team at our Wildwood, Bethesda location (5 min from my house) recommended that I try Laura Mercier’s new Crème Smooth Foundation in Warm Ivory. It is a beautiful whipped foundation that comes in a jar and gives the most amazing coverage and moisture without looking pasty. It is so easy to put on – I use my fingers, just like putting on a moisturizer. My skin looks perfectly even and flawless – who doesn’t want that? This is my new secret weapon pre-work and pre-going out at night. With the dreary weather we all need a pick me up like this!